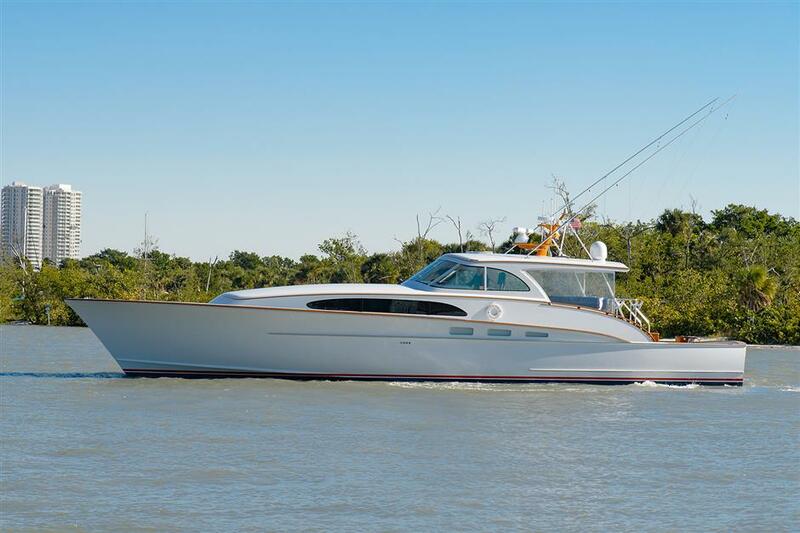 Michael Rybovich & Sons has launched its first build, the 64-foot Lizzy Bee commissioned for a four-time Rybovich owner. 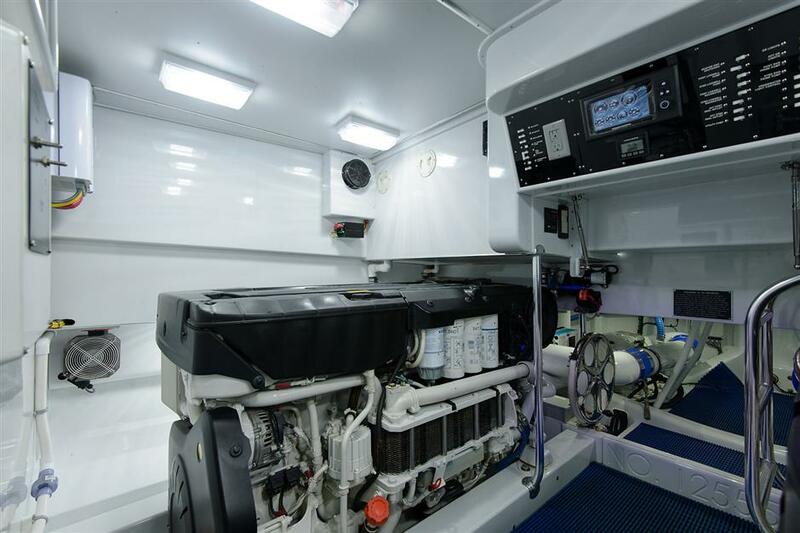 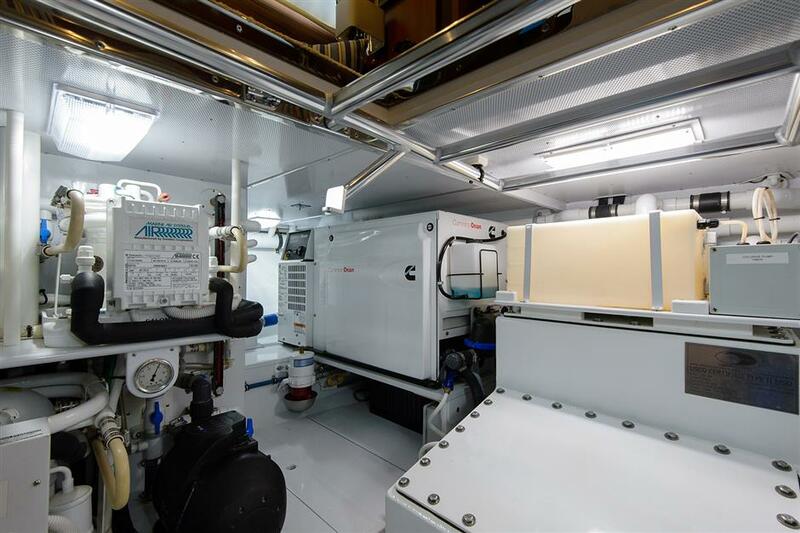 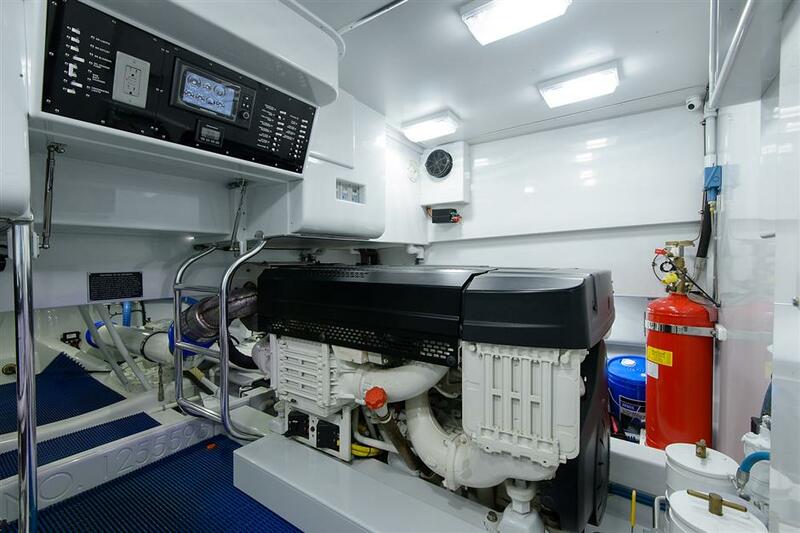 She can hit 39 knots with her twin 900-horsepower Volvo Penta pod drives and has solid efficiency speeds too, burning 66 gph at 32 knots or 50 gph at 29 knots. 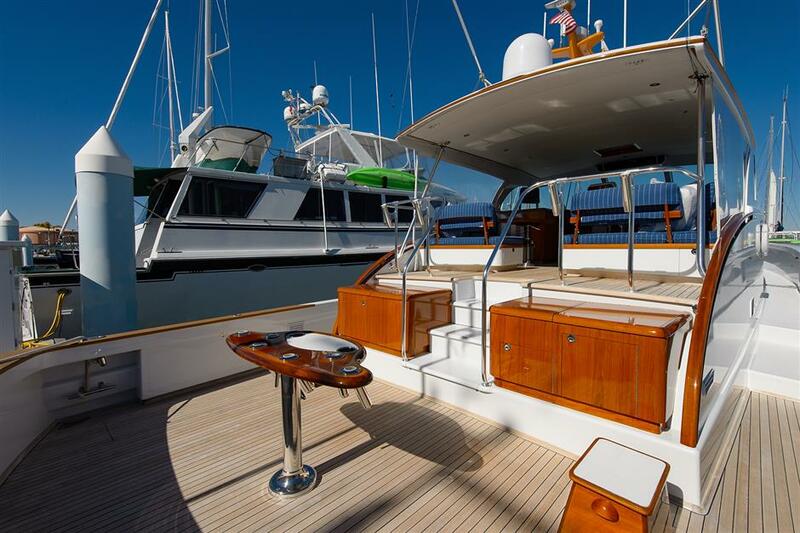 Her range at 9 knots is 3,600 miles. 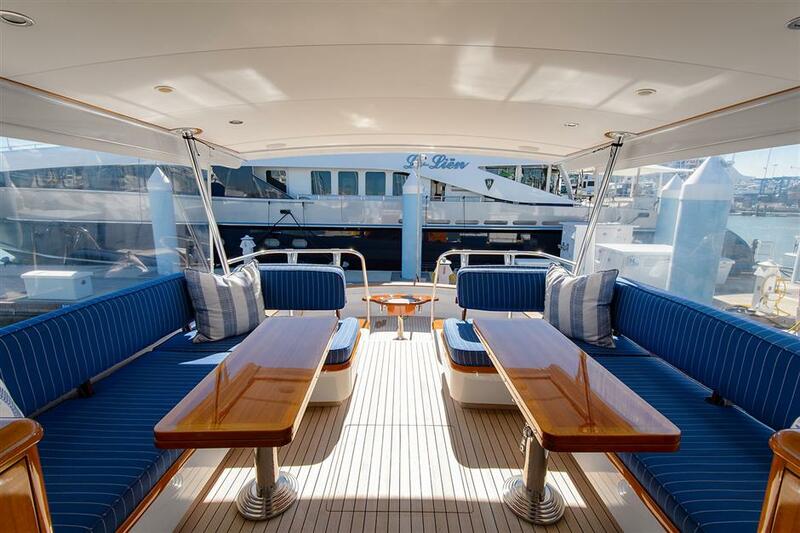 As the owner stated in a press release; “Europe, here we come”. 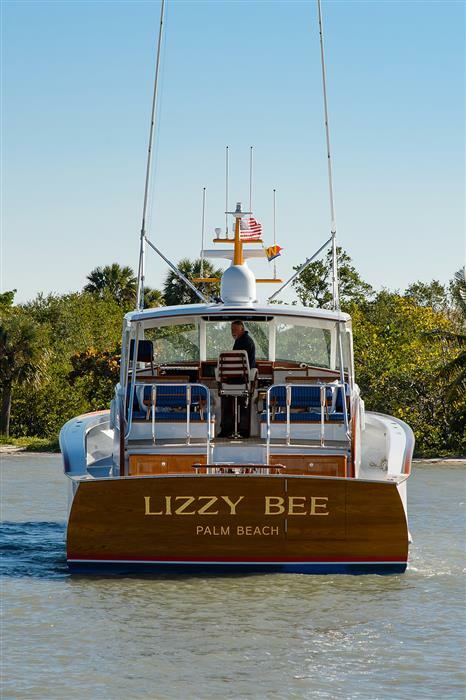 Her owner Larry Wilson shared a few details about Michaels latest creation: “Mike and his team have done a fantastic job designing and building the new Lizzy Bee. 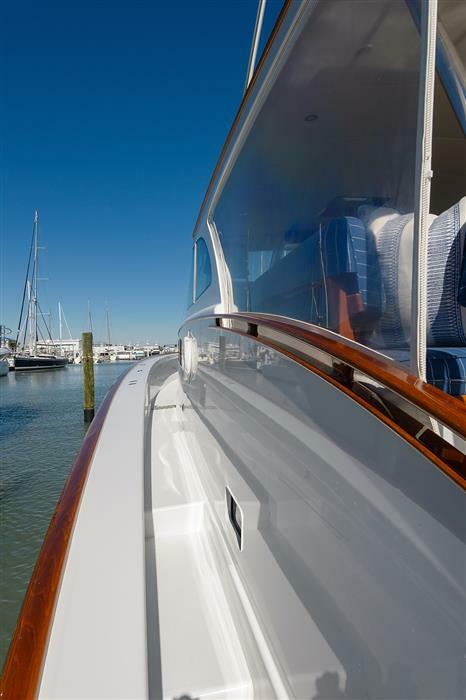 We had full water and fuel, 1560 gallons, and 12 people aboard. 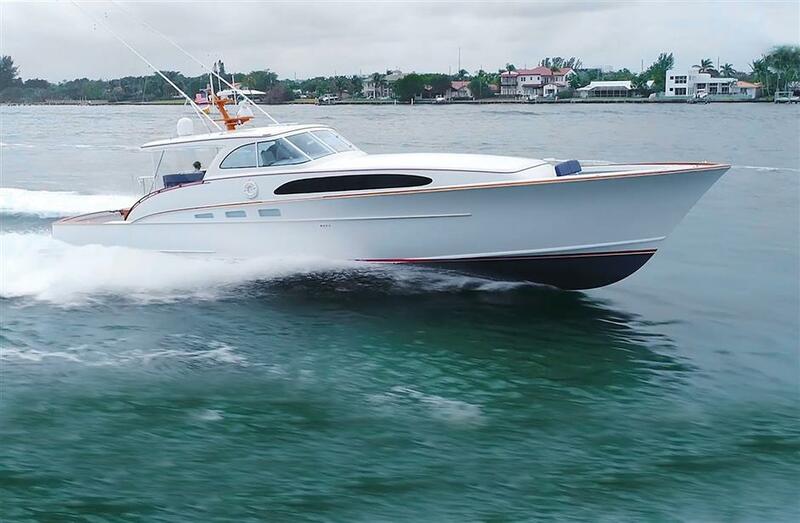 She topped out over 39 knots (45 mph) and cruised at 32 knots burning 66 gallons per hour or 29 knots at 50 GPH. 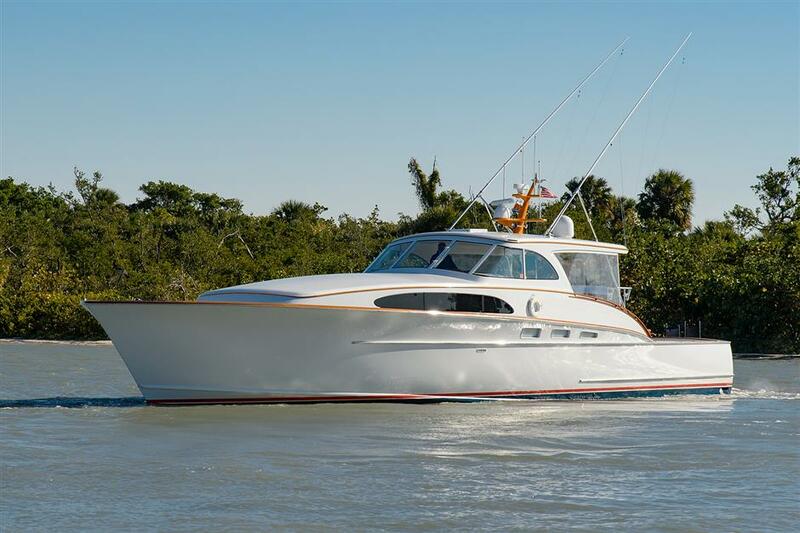 At low RPM she did over 3 mpg at 9 knots so with 1200 gallons it can go 3600 miles, Europe here we come. 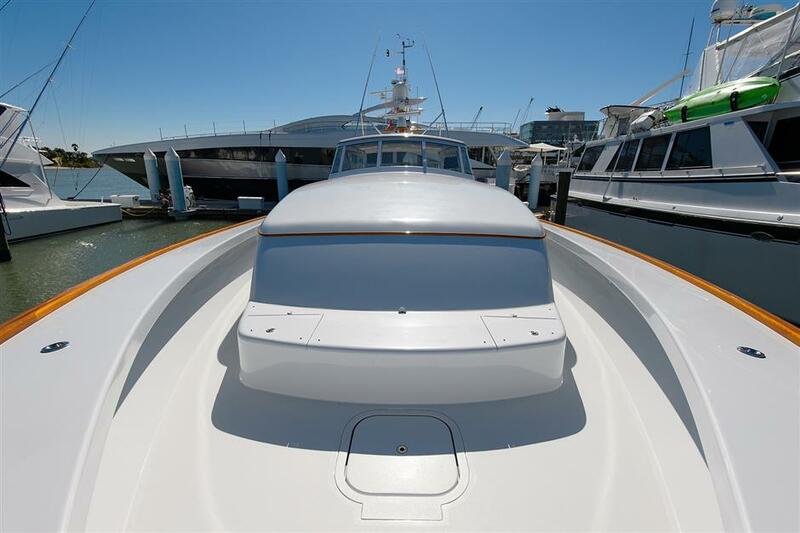 The ride, handling and fishing mode is fantastic. 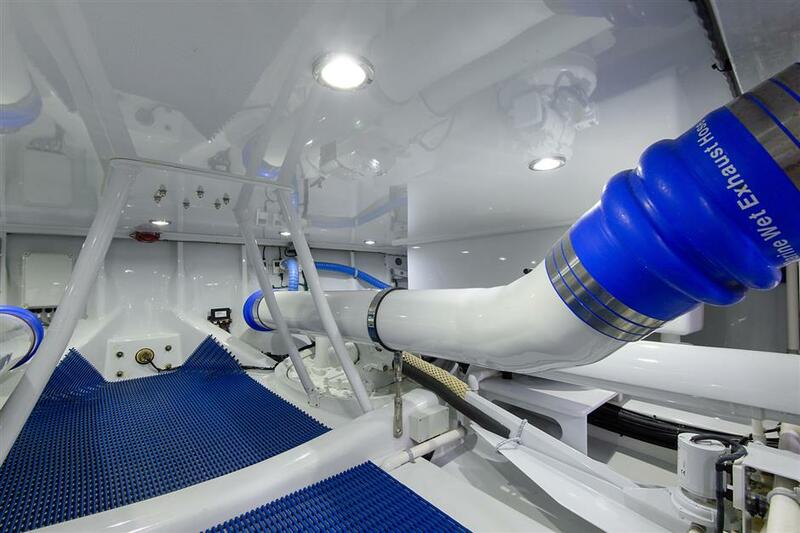 The pod drives are incredible, far better than I expected. 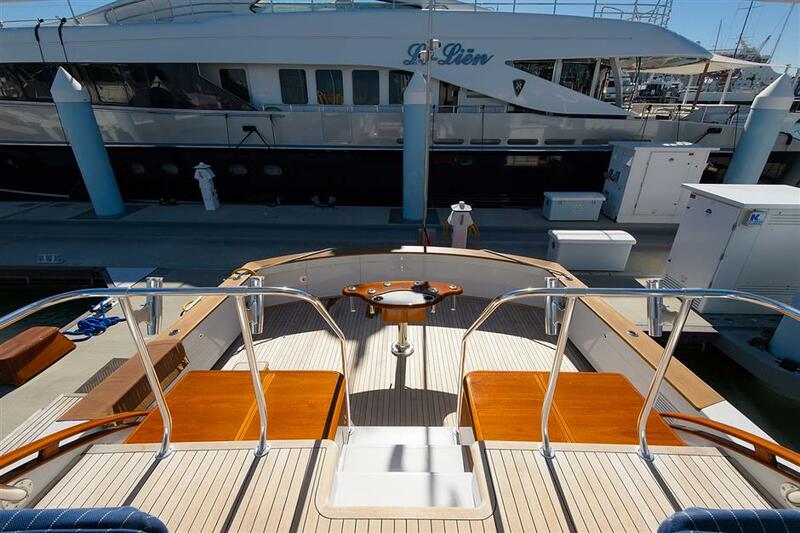 Most beautiful and best performing boat I have ever been on. 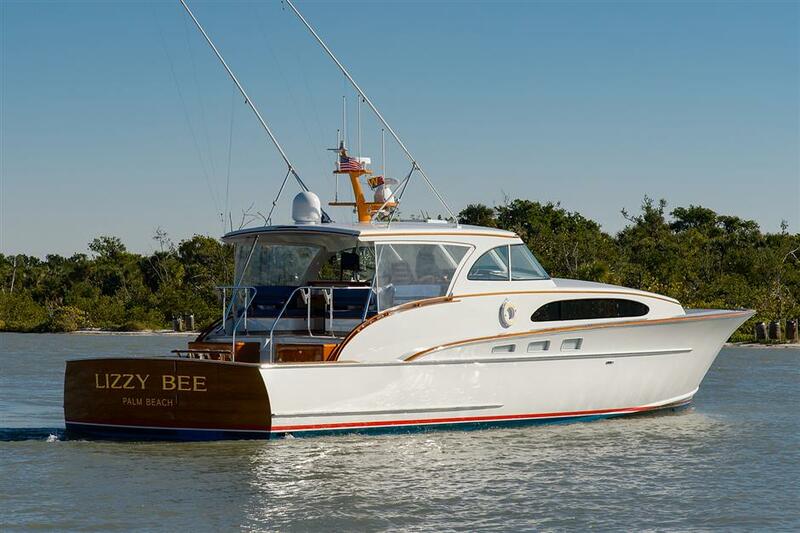 Lizzy Bee features a split 4 stateroom/3 head layout with Day Head located off the salon. 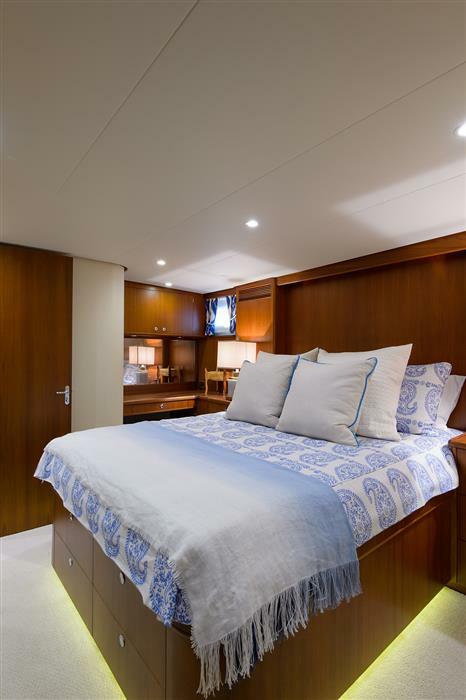 The master stateroom is located aft of the salon and is full beam with ensuite head and access to the laundry center. 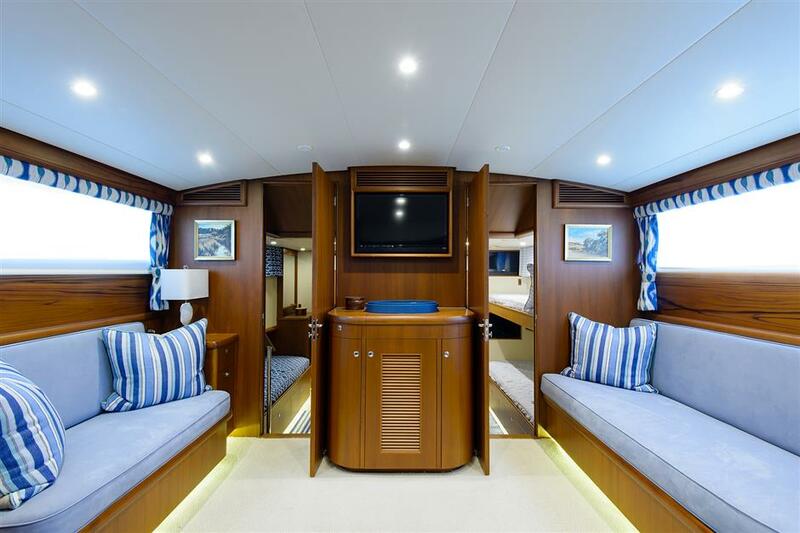 Just forward of the master is the main salon andforward of this area are three guest staterooms.The port side guest stateroom features side by side berths with ensuite head. 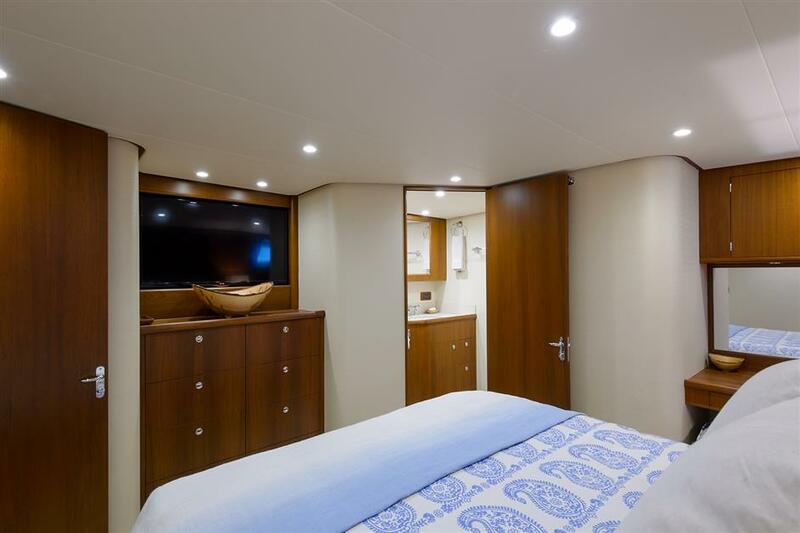 The starboard guest stateroom features upper and lower berths and ensuite head as well. 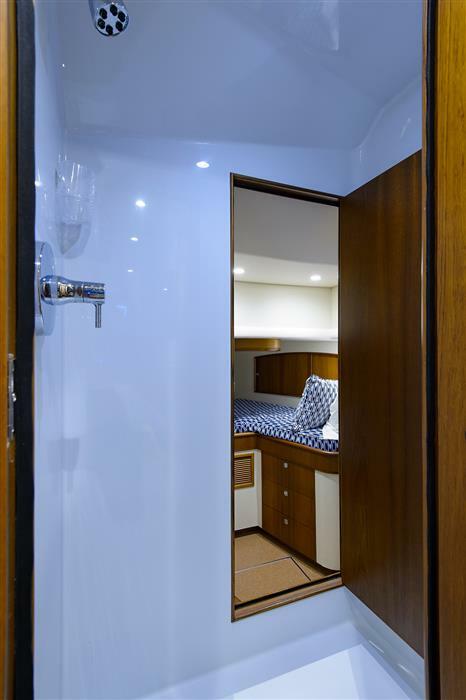 An additional guest stateroom is located centerline forward and is capable of sharing either the port or starboard guest head.This stateroom is also accessed privately from a hatch located on the fore deck, should it be desired to be used as a crew stateroom. 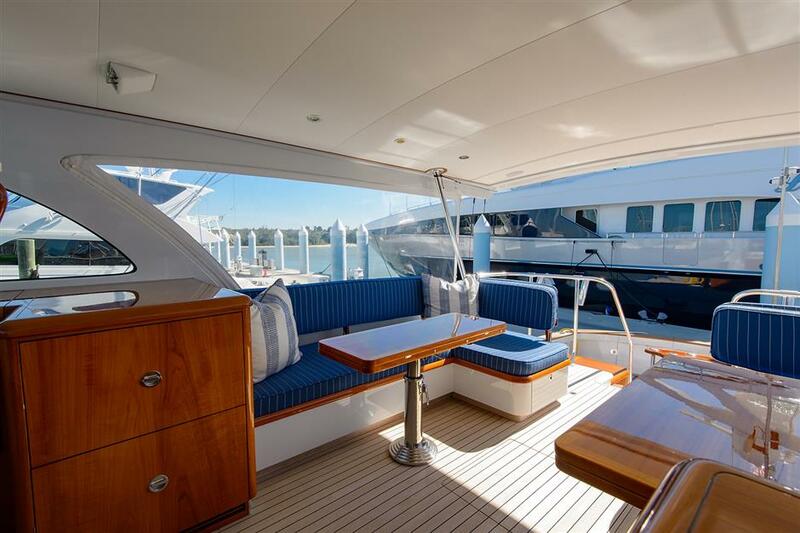 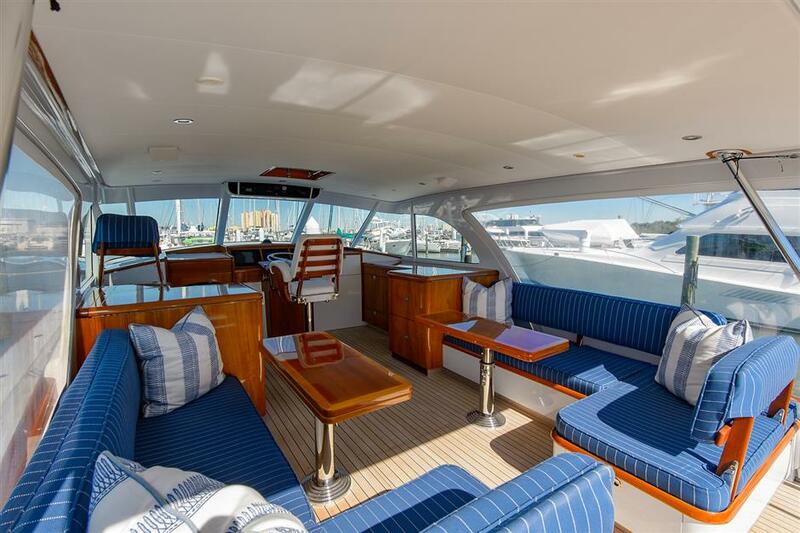 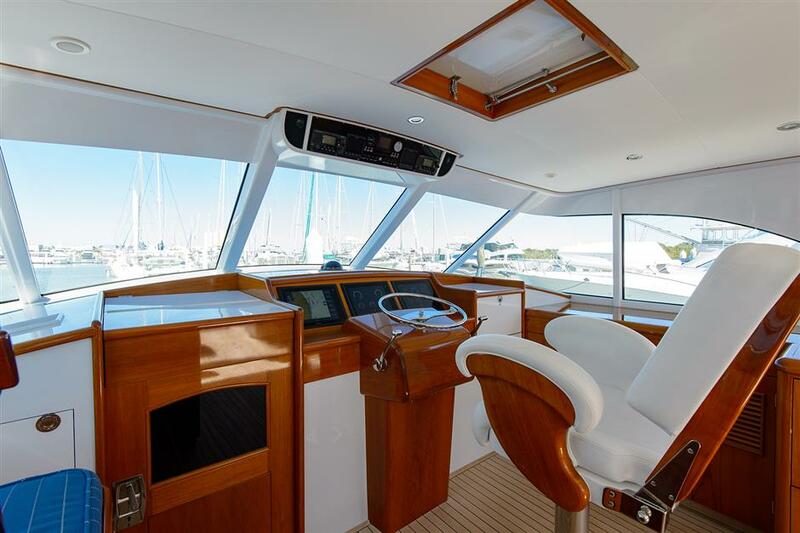 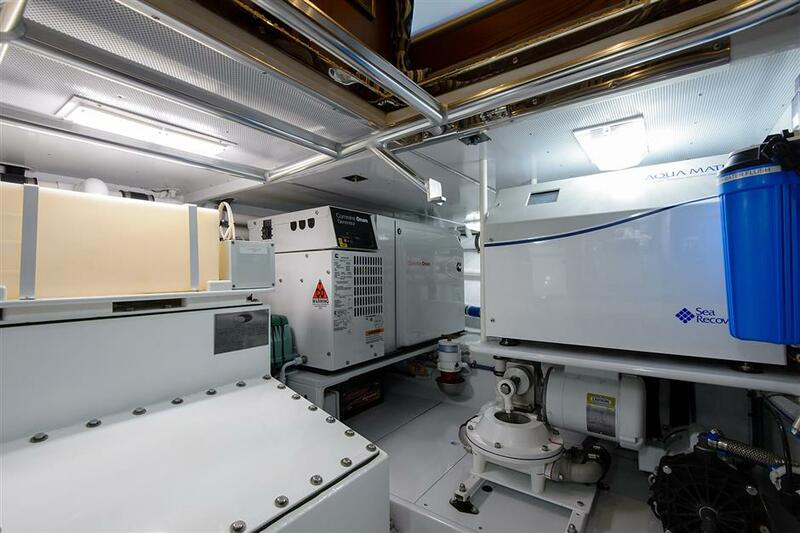 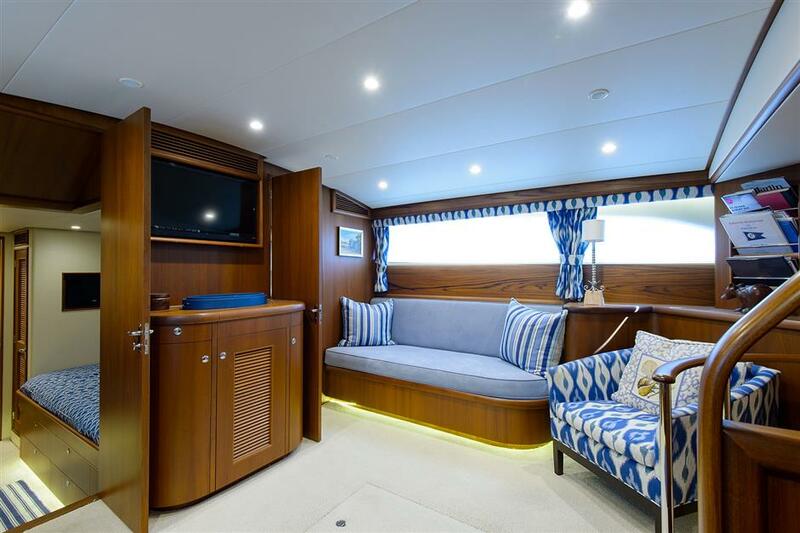 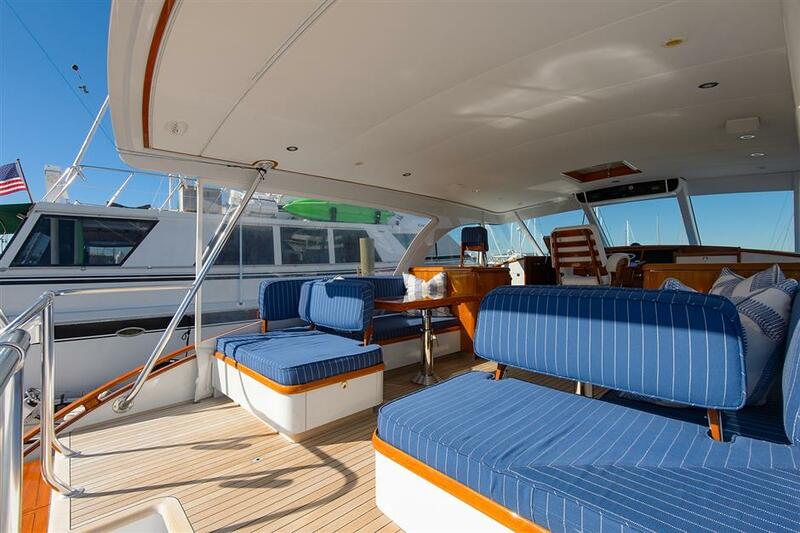 The galley is conveniently located on the main deck area just aft of the helm station. 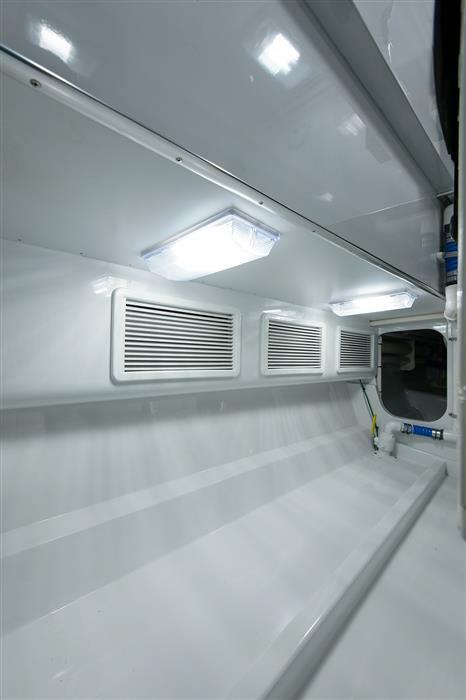 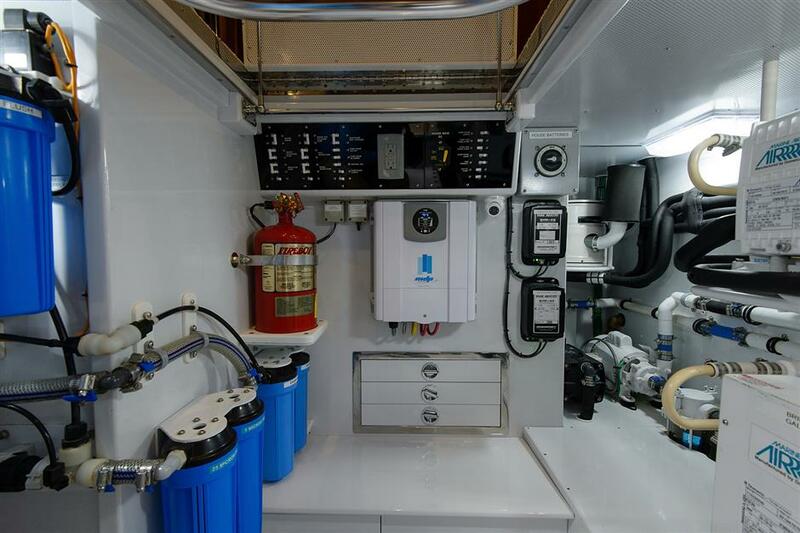 Every appliance is built in and concealed in cabinetry making for a ultra clean efficient galley. 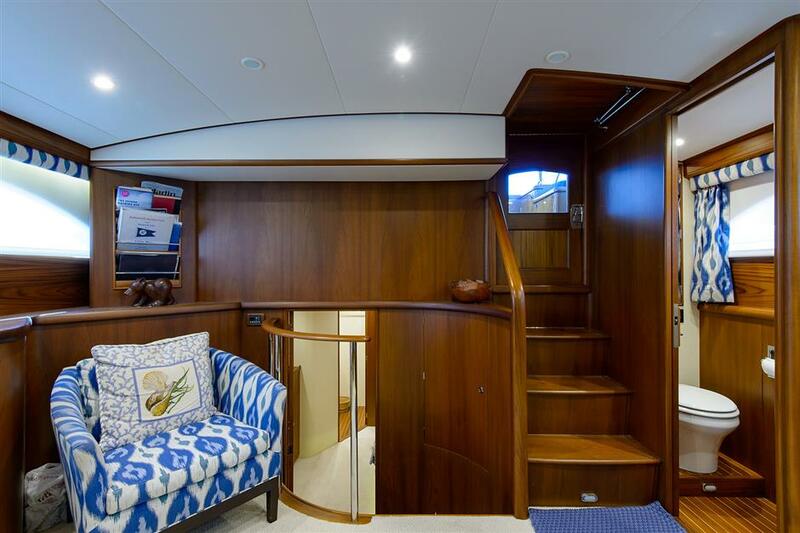 The Master Stateroom is located amidship in the vessel and is full beam. 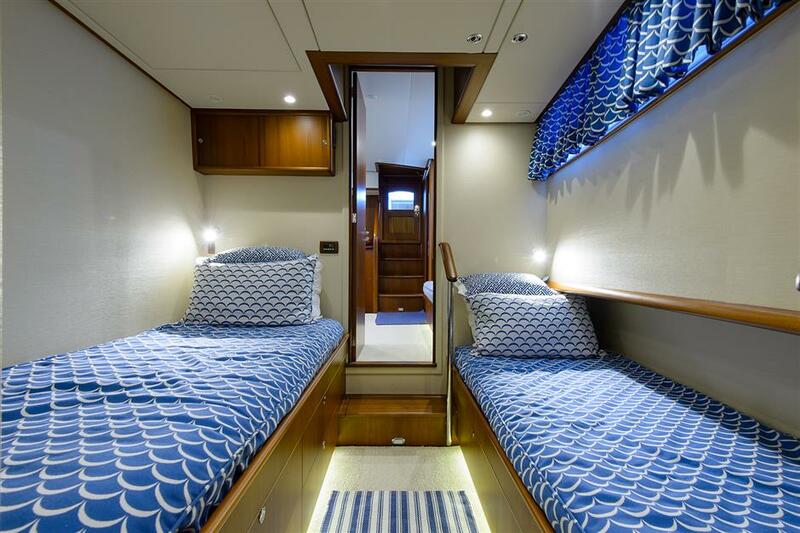 Unique stateroom with 3 separate access points that comfortably sleeps 2. 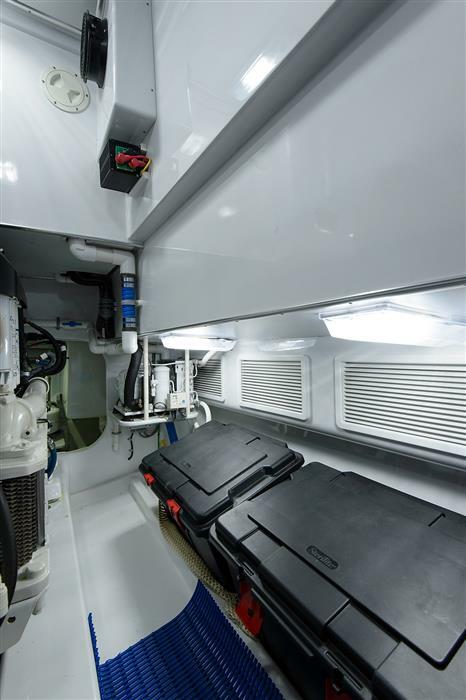 Port and starboard electric reel outlets.